Houlihan Capital started in 1996 as Houlihan Smith & Company, providing advisory and financial services to middle-market companiesMarket CapitalizationMarket Capitalization (Market Cap) is the most recent market value of a company’s outstanding shares. Market Cap is equal to the current share price multiplied by the number of shares outstanding. The investing community often uses the market capitalization value to rank companies. Over the years, Houlihan Capital has expanded its range of services to include valuationPrivate Company Valuation3 techniques for Private Company Valuation - learn how to value a business even if it's private and with limited information. This guide provides examples including comparable company analysis, discounted cash flow analysis, and the first Chicago method. Learn how professionals value a business and financial advisory, investment banking, as well as litigation dispute advisory services. Its clients include hedge funds, private equity fundsPrivate Equity FundsPrivate equity funds are pools of capital to be invested in companies that represent an opportunity for a high rate of return. They come with a fixed investment horizon, typically ranging from 4 to 7 years, at which point the PE firm hopes to profitably exit the investment., corporationsCorporationWhat is a corporation? A corporation is a legal entity created by individuals, stockholders, or shareholders, with the purpose of operating for profit. The creation involves a legal process called incorporation where legal documents containing the primary purpose of the business, name, and location and sovereign wealth funds. Houlihan Capital is headquartered in Chicago, Illinois. Houlihan Capital, previously Houlihan Smith & Company, was founded by Richard Alfred Houlihan and Andrew David Smith. Richard Houlihan is a former chairman of Houlihan Lokey Howard & Zukin Inc, while Andrew Smith is a mergers and acquisitions advisor and president of Houlihan Capital. The two founders met when Andrew Smith was working with Kemper Securities, and they helped sell a software company where Richard Houlihan was chairman. After that, they established Houlihan Smith, an investment bank specializing in business valuations and mergers and acquisitions. Each of the partners owned 25% to 50% of the company while Charles Botchway owned 10% to 25% of the company. In the mid-2000s, Houlihan Smith expanded its list of services to include portfolio valuation, derivative valuation, and investment advisory services for hedge funds and private equity funds. Between 2006 and 2008, the company valued billions of dollars of level 3 in line with a new accounting pronouncement, Financial Accounting Standard No. 157. FAS 157 required companies and investment firms to make quarterly and annual reporting of the fair value of their entities. The three-tier fair value hierarchy comprises levels 1, 2, and 3, with the latter being hard to value and therefore, requiring valuation by an independent advisor. Houlihan Smith did more than 400 valuations and opinions annually, with the biggest financial opinion being a solvency opinion provided to Reliant Energy for its $12 billion financial restructuring. Before the financial crisis of 2007, Houlihan Smith provided independent valuations of Auction-Rate Securities for Fortune 1000 companies. The securities started falling in late 2007 due to lack of liquidity and a credit crisis. Houlihan worked alongside the Big 4 audit firms and its clients to value the auction rate securities and where possible, identify a secondary market where clients could dispose of their portfolios. The company also worked with hedge funds and private equity firms, offering portfolio and individual security valuation, risk analysis, and mergers and acquisition advisory. In total, Houlihan Smith was involved in more than 500 capital restructurings, private placements, and mergers and acquisitions. Houlihan Capital provides valuations and independent opinions to companies in line with the accounting, regulatory, and corporate governance requirements. The company helps in the valuation of current liquid assets by examining the market value of assets, the composition of capital structure, and the prospects of future earnings with financial modelingWhat is Financial ModelingFinancial modeling is performed in Excel to forecast a company's financial performance. Overview of what is financial modeling, how & why to build a model. A 3 statement model links income statement, balance sheet, and cash flow statement. More advanced types of financial models are built for valuation, plannnig, and. Investment managers such as hedge funds and private equity fundsPrivate Equity vs Hedge FundCompare private equity vs hedge fund in terms of investors, risk, liquidity, time horizon, compensation structure, careers and more pros and cons of each. There are several important points to know about the similarities and differences of private equity vs hedge fund. face increased attention from regulators and other industry participants and must, therefore, provide valuations that are transparent, independent, and that comply with the reporting standards. The company also provides solvency opinions to companies that are involved in highly leveraged transactionsLeveraged FinanceLeveraged Finance is the use of an above-normal amount of debt, as opposed to equity or cash, to finance investment assets. Leverage can enhance returns and leveraged finance is done with the goal of increasing an investment’s potential profit, assuming the investment increases in value. that may lead to financial distress in future. The solvency opinion serves as an assurance the company will be able to meet its rising financial obligations in the future. On the other hand, Houlihan also provides a fairness opinion, which is a risk management tool that gives an opinion on whether a decision by the board of directors and special committees offers fair terms to the stakeholders from a financial perspective. Other services offered under the valuation and advisory category include growth finance services, consulting services, investment management advisory, employee stock ownership plans, and fund valuation policies. 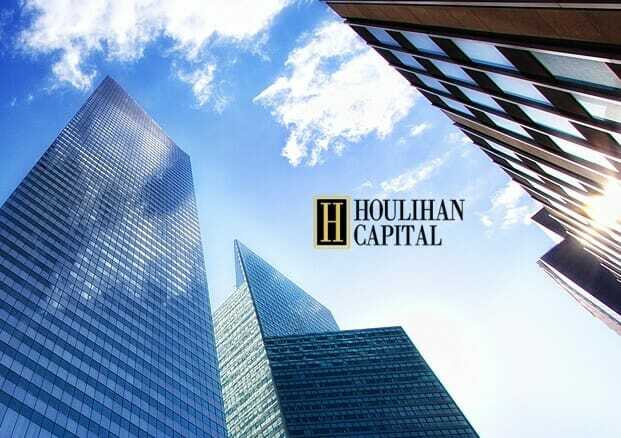 Houlihan Capital provides investment banking servicesJobsBrowse job descriptions: requirements and skills for job postings in investment banking, equity research, treasury, FP&A, corporate finance, accounting and other areas of finance. These job descriptions have been compiled by taking the most common lists of skills, requirement, education, experience and other such as secondary market advisory and trading as well as buy side and sell side advisoryBuy Side vs Sell Side M&AAdvisers on buy side and sell side M&A transactions differ in terms of their roles and how they are compensated. The buy side means working with the buyers in opportunities for them to acquire other businesses.Sell side M&A, on the other hand, means working with the sellers. In secondary market advisory and trading, the firm matches buyers and sellers of liquid assets, private stocks, investment portfolios (performing and non-performing), and hedge fund and private equity interests. It also allows investors access to illiquid securities that they would not be able to access individually. In sell side and buy side advisory services, Houlihan assists clients in structuring and executing merger and acquisition transactions. It provides guidance, due diligence, and financial advisory to business owners on the buy side. It also helps them to secure equity and debt capital to fund the merger and acquisition deal. The business owners on the sell side benefit from strategic guidance from the senior-level executives, with the aim of maximizing the chances of successful outcomes for its clients. As independent experts, Houlihan Capital offers technical and industry expertise to business owners and their attorneys in financial analyses. It provides support in commercial and shareholder disputes involving financial derivatives, business valuationValuation MethodsWhen valuing a company as a going concern there are three main valuation methods used: DCF analysis, comparable companies, and precedent transactions. These methods of valuation are used in investment banking, equity research, private equity, corporate development, mergers & acquisitions, leveraged buyouts and finance, financial structures, and economic damages. Also, Houlihan offers support in cases related to derivatives and structured finance. Other areas where Houlihan Capital are involved in include bankruptcy litigation, intellectual property disputes, business interruption, post-transaction disputes, fraudulent conveyance and fraud, and forensic and investigation services. In 2010, Houlihan’s attorney filed a request at the Illinois state court for a temporary restraining order against the webmaster of 800notes.com and whocallsme.com. The firm was protesting comments on the two websites that were damaging its reputation. The attorneys demanded that all the statements of a factual nature relating to their client be removed from the websites and the users ordered to stop further comments on the sites’ section connected to Houlihan. However, In May 2010, the attorney defending the webmasters of the two websites moved the case from the state court to a federal court. The federal court judge allowed the case to expire and rejected a request to grant a temporary injunction against the defendant. During the attorney fee phase of the court proceedings, Houlihan went out of business. The defendants filed a motion for attorney fees amounting to $137,632.34, but the court ruled for a settlement of $35,000. Thank you for reading CFI’s guide to Houlihan Capital. To learn more, see the following CFI resources.